You will arrive in the city of Cusco and taken to your hotel, where the rest of the morning is free time to rest and to acclimate yourself to the elevation. The afternoon is set aside for a tour of the incredible colonial city, whose buildings were constructed by the Spanish on top of the foundations of Incan palaces. You begin at the Korikancha, the Temple of the Sun, to witness the exquisite stone work achieved by the Incas. Your next stop is the Main Square for a tour of the Cathedral to see its fabulous wood carvings and impressive altars and the lovely Church of La Compañia de Jesus (Society of Christ). Following that, you will head upwards to Sacsayhuaman, a fortress located in a strategic spot high above the city with a view that is absolutely stunning. You will also visit some other archaeological complexes such as Kenko and Tambomachay, and you will have a panoramic view of Puca Pucara. 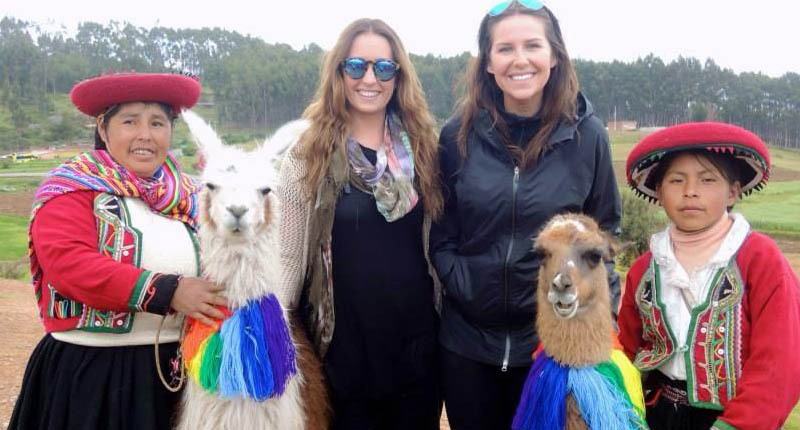 Today, you will set off for the Sacred Valley of the Incas. Along the way, you will make a stop to marvel at the classic view of the Urubamba River snaking its way through the valley. Your journey continues to the small village of Pisac, and there you will walk through its lively market and have some free time to interact with the townsfolk and artisans and to shop for handicrafts and souvenirs. You will eat a buffet lunch at the town of Urubamba, and then visit Ollantaytambo, a lovely town constructed by the Incas, whose streets are cobble stoned and where a man-made canal brings fresh water right into the city limits. At the upper part of the town, there is an impressive ceremonial center that was used for water worship and a mighty fortress that protected the access point to the lower part of the valley. Today you are going to visit one of the most important energy centers of the world: Machu Picchu. You will travel by train to the town of Aguas Calientes, an experience in which you will see the striking scenery of the Sacred Valley. Upon your arrival, you will be driven to the archeological site, the visit of which will be an unforgettable experience, with a professional tour guide to impart to you all the history that surrounds this mysterious and enchanting place. Once the guided tour is over, you will have some free time to explore the site on your own, to relax, or to meditate. At the agreed upon hour, you will descend to Aguas Calientes for lunch and board the train later that afternoon for the return trip. Once you have arrived at either the Ollantaytambo or Poroy Station, you will be driven to your hotel.